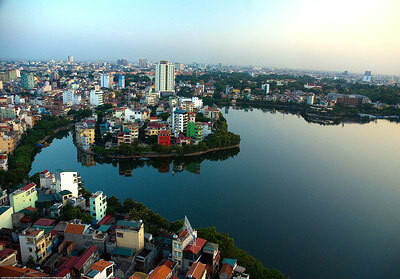 Hanoi is the capital city of Vietnam for almost a thoursand years. 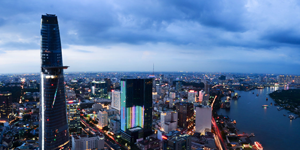 Once a hostile attitude towards tourists, Hanoi has now set to become one of the most exciting cities in Southeast Asia. 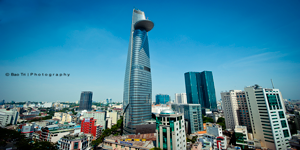 The city is considered to be the cultural centre of Vietnam, where every dynasty has left behind their imprint. This fascinating city has got Chinese influence from centuries of dominance, and French design from its colonial past. Even though some relics have not survived through wars and time, the city still has many interesting cultural and historic monuments for visitors and residents alike. 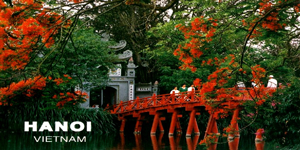 Hanoi is home to many cultural sites than any other city in Vietnam, with well over 600 pagodas and temples. 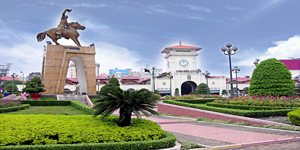 Hanoi has many fascinating places to visit such as lovely landscape of lakes, shaded boulevards, public parks and French-colonial architecture. It is largely unspoiled by modern architecture and is currently undergoing modernization which is making it a rising star in Southeast Asia. 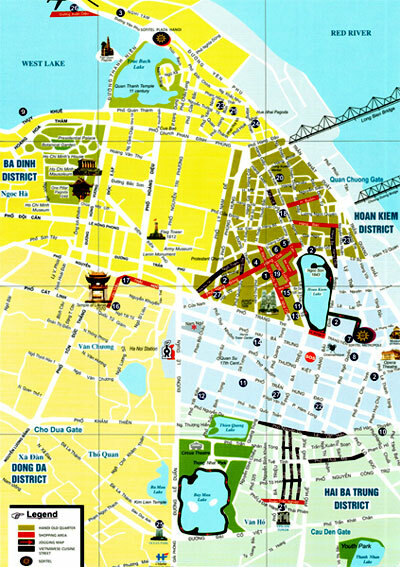 Hanoi is rich in ancient cultures and history which can be seen clearly from the temples, monuments and along the narrow streets of the Old Quarters. 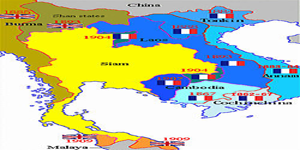 However that blends equally well with the rapid globalisation changes that is sweeping the country. 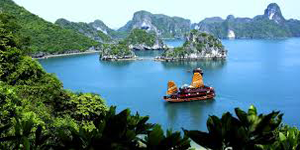 There are places to go while in Vietnam such the numerous museums, parks and lakes, wartime sites and shopping. 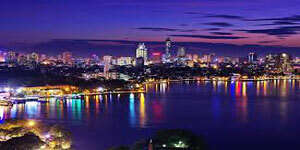 Hanoi is considered a shoppers paradise for silk, lacquerware, wood, custom tailoring and other Asian inspired design. 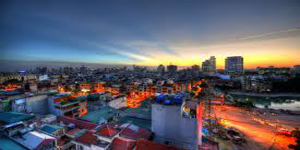 The bargains which can be found here are among the best in the entire Asia, being even better than Bangkok, Thailand. The Perfume Pagoda is a Buddhist pilgrimage site about 60km southwest of Hanoi. An excursion involves a boat trip, hiking up a mountain, and visiting various temples and grottoes. A visit takes a full day. Sapa is a holiday resort town in Northern Vietnam. The town of Sa Pa lies at about 1600 meters above sea level. The climate is moderate and rainy in summer (May—August), and cold with few snowfalls during winter. 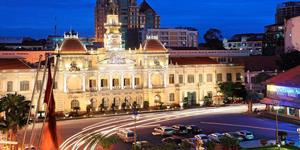 Generally speaking, travellers can visit Hanoi anytime of the year. 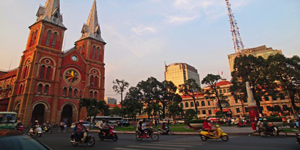 Together with the many wide range of attractions available all year round and the comfortable climate, there is no bad season to visit Hanoi.